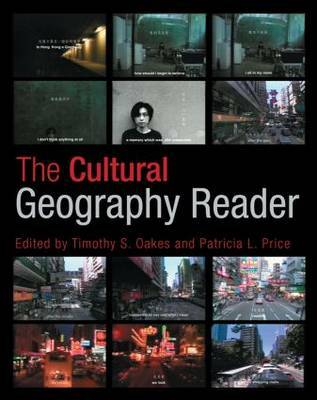 The Cultural Geography Reader draws together fifty-two classic and contemporary abridged readings that represent the scope of the discipline and its key concepts. Readings have been selected based on their originality, accessibility and empirical focus, allowing students to grasp the conceptual and theoretical tools of cultural geography through the grounded research of leading scholars in the field. Each of the eight sections begins with an introduction that discusses the key concepts, its history and relation to cultural geography and connections to other disciplines and practices. Six to seven abridged book chapters and journal articles, each with their own focused introductions, are also included in each section. The readability, broad scope, and coverage of both classic and contemporary pieces from the US and UK makes The Cultural Geography Reader relevant and accessible for a broad audience of undergraduate students and graduate students alike. It bridges the different national traditions in the US and UK, as well as introducing the span of classic and contemporary cultural geography. In doing so, it provides the instructor and student with a versatile yet enduring benchmark text. Buy The Cultural Geography Reader by Timothy Oakes from Australia's Online Independent Bookstore, Boomerang Books. Timothy S. Oakes teaches geography at the University of Colorado at Boulder, USA. His research focuses on China's cultural economy, culture industries, and tourism development. He is the author of Tourism and Modernity in China (1998) and co-editor of Travels in Paradox (2006) and Translocal China (2006). Patricia L. Price teaches geography at Florida International University in Miami. Her research focuses on Latinas/os in US cities, the US--Mexico borderlands, and popular religiosity. She is the author of Dry Place: Landscapes of Belonging and Exclusion (2004) and co-author of The Human Mosaic: A Thematic Introduction to Cultural Geography (2005).